Fluoride Reduces Intelligence: Is UK Planning to Dumb Down Citizens? Water fluoridation uses human bodies as the repository of industry’s toxic fluoride wastes. It reduces intelligence. With its plan to fluoridate water in the face of evidence of immense harm, what conclusion can be drawn, other than that the UK is intentionally trying to dumb down its citizens? In the face of growing evidence from science that fluoride causes brain damage and reduces intelligence, the United Kingdom goes forward with plans to fluoridate the nation’s water. The time has come to ask the question: Does the government intend to turn the United Kingdom into a nation of idiots? 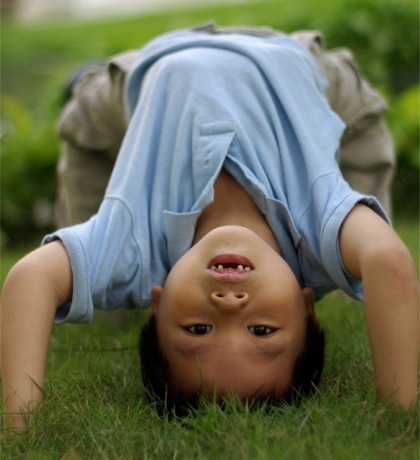 A recent metastudy of fluoride’s neurotoxic effects on children in China demonstrates an almost-total agreement in study results. With only one exception out of 27 studies, fluoride damages intelligence. The one exception found a tiny increase in intelligence, and even that was statistically insignificant. In support of their findings, the study pointed out that rats exposed to 1 ppm (part per million) of fluoride in water for one year were found to have changes in the brain’s form, plus increased levels of aluminum in brain tissue, which is a severe neurotoxin. The Journal of Oral Pathology and Medicine documents that fluoride can cause fluorosis (of course!) and oxidative stress, which can lead to premature aging, COPD, cancer, cardiovascular disease, and asthma. Nuclear Medicine Communications reported that fluoride is associated with vascular calcification and cardiovascular disease. 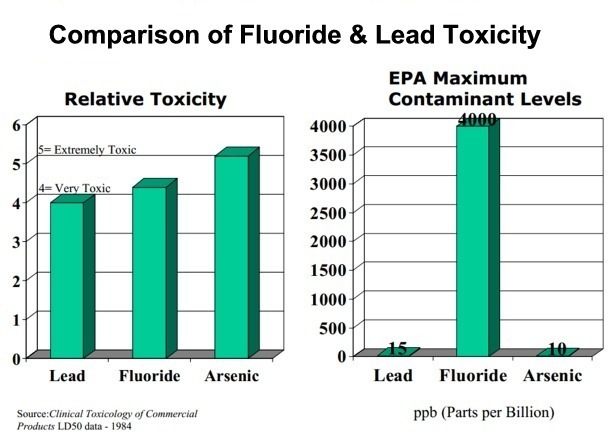 Toxicology reported that fluoride increases blood concentrations of lead. Biological Trace Element Research produced a study on rats showing that fluoride influences the thyroid and causes a reduction in learning and memory abilities that has effects on subsequent generations. Biological Trace Element Research documented that hair growth is compromised by fluoride. The Journal of Oral Pathology & Medicine produced evidence of tooth damage in the form of fluorosis that’s caused by fluoride. The Journal of Applied Toxicology demonstrated lung tissue damage in subsequent generations. And that’s just a sampling! The amount of harm produced by fluoride is massive. No area of the body is untouched. The fact is that the human body has no use for fluoride or any other form of the element fluorine. By no stretch of the imagination is fluoride a nutrient. Yet, we are now seeing governments and health agencies listing recommended daily allowances of fluoride in the diet! It’s being supplemented in salt now! Gaia Health discusses that in A Pinch of Fluoride in Your Salt? How can anyone seriously suggest that adding this toxic chemical to water is beneficial? Is the UK Planning to Dumb Down Its Citizens? In the face of all this evidence, the UK is now moving forward with plans to fluoridate the nation’s water. Authority over water supply fluoridation is being moved from the national level to the local council level, which is the equivalent of a cross between county and state governments in the US. This sounds like it’s a move to give the local populace more control, but is, instead, exactly the opposite. There will be no requirement for a public consultation before implementing water fluoridation. The amount of fluoride that may be added to water in the UK is 1 part per million, which is lower than the US’s Department of Health and Human Services new recommendation of 0.7 parts per million. Those who remain adamantly opposed would be able to use water filters that remove fluoride or buy bottled drinking water. Why not just say, “Let them eat cake!” There’s little difference in these officials’ suggestion. They intend to use the taxpayers’ money to force a toxic waste product on us all, except for those who can afford to avoid it. And how are parents to avoid their children’s drinking fluoride-laced water while in school? Not only must the taxpayer pay for this travesty, but then must find yet more money in avoiding fluoride’s toxicity to protect themselves and their children. But many can’t. What conclusion can be drawn, other than that the UK is intentionally trying to dumb down its citizens? Water fluoridation uses human bodies as the repository of their toxic fluoride wastes! Listed below are links to blogs that reference this entry: Fluoride Reduces Intelligence: Is UK Planning to Dumb Down Citizens?. This page contains a single entry by Toni published on February 4, 2013 1:03 PM. 30 Years of Secret, Official Transcripts Prove Vaccine Schedules in US and UK are Based on Government Lies was the previous entry in this blog. Aspartame Linked to Leukemia and Lymphoma in Landmark Study on Humans is the next entry in this blog.